Eastern Libyan forces loyal to the Libyan National Army (LNA) took control of the closed el-Sharara oilfield in the southern region on Wednesday, LNA spokesperson Ahmed al-Mismari said. 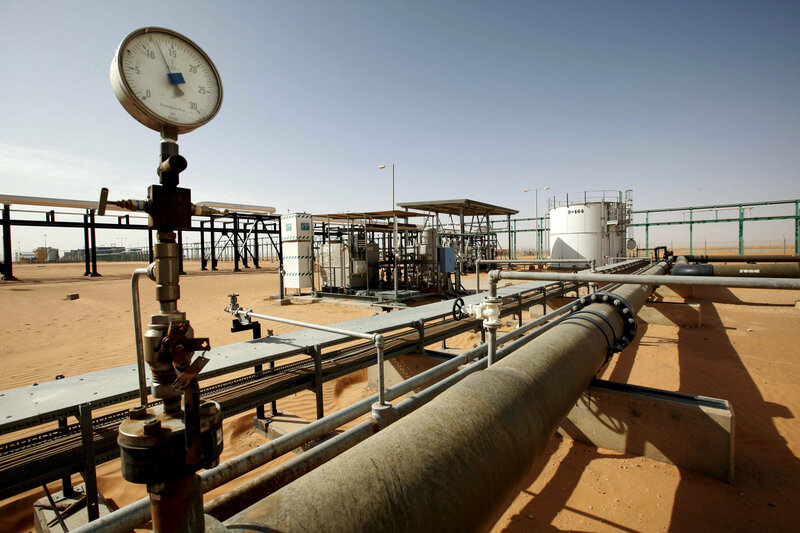 The LNA seemingly beat the rival UN-backed Government of National Accord (GNA), based in Tripoli and led by Faiez Sarraj, to Sharara, Libya’s biggest oil field. A Petroleum Facilities Guard (PFG) unit that belongs to the GNA is heading to Sharara, Osama al-Juwaili, head of the western military zone affiliated to the Presidency Council, said on Wednesday. However, armed groups are trying to establish a separate and extremist country in the south and neighboring countries, the spokesperson continued. The LNA launched a military operation in the south a few weeks ago to clear it of armed groups. The security plan applied by the LNA in the south should therefore be followed in the rest of the Libyan regions as well, he emphasized. The LNA’s “security plan” is strongly contested. Sarraj condemned the LNA’s military operation on Wednesday. Further, Juwaili said in a Wednesday press statement the PFG unit has been responsible for protecting the field since 2012, but it left in 2014 to counter the Islamist “Dawn of Libya” war in Tripoli. Sharara was producing as much as 315,000 barrels per day before it was taken over on 8 December by groups of tribesmen, armed protesters and state guards self-proclaimed as the Fezzan Anger Movement demanding salary payments and the provisions of basic needs in the south. “The armed group attempting to hold NOC and Libya’s economic recovery to ransom must leave the field before NOC will consider restarting production,” NOC Chairman Mustafa Sanalla told a Chatham House conference in London on 29 January. The battle for the control of oil resources is at the center of a conflict between power brokers; one is led by Sarraj in the west and the other is led by LNA Commander Khalifa Haftar in the east, as well as armed groups. Haftar previously called on the NOC to lift the force majeure; however, the NOC, which backs Sarraj, refused. Benghazi establishes its own parallel NOC, but because it is not internationally recognized, it has failed to seal any deals.